Ahead of Young Justice’s triumphant return to the world of streaming services, DC Universe has just dropped a new trailer for the series’ upcoming third season. Even though the team’s all getting back together to face the biggest threat the world’s ever seen, their combined efforts might just not be enough to fend off the evil that’s coming for them. Set a few years after the events of Young Justice’s second season, Outsiders finds Nightwing, Superboy, Artemis, and the rest of their crew in the midst of an international arms race to secure the world’s growing population of young metahumans who, with the right training, have the potential to become deadly weapons that could upend the world’s power structures. Under normal circumstances, the heroes would probably be able to handle that sort of problem on their own. But Outsiders is also set to introduce the Apokoliptian overlord Darkseid and with him, the larger universe of other alien life that now has even more reason to pay attention to what’s happening on Earth. DC Universe also announced that a new Outsiders prequel comic is on the way that will bridge the events between Young Justice’s second and third seasons, and the streaming platform will soon begin releasing “enhanced” episodes from show’s first two seasons that feature commentary from the show’s production team. 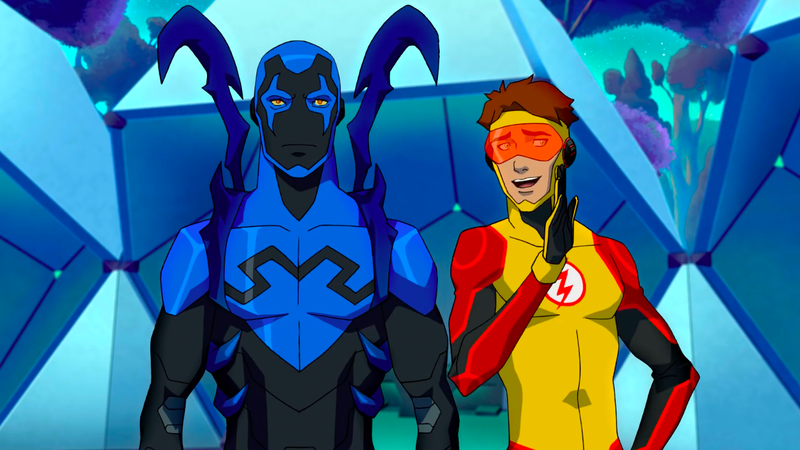 DC Universe’s Young Justice: Outsiders begins dropping weekly batches of episodes on January 4, 2019.